The magazine stated that Gloria possessed “incredible” hotels and facilities and described the Gloria Sports Arena, which opened only in 2015, as a “Europe-wide leader in its field”. It also described Gloria’s golf offering as having “consistently good holes and solid practice facilities”. The stunning luxury resort on the Turkish Riviera first opened its doors in 1997 and has, subsequently, seen remarkable growth and investment, with plans already in place for its 20th anniversary celebration next year. 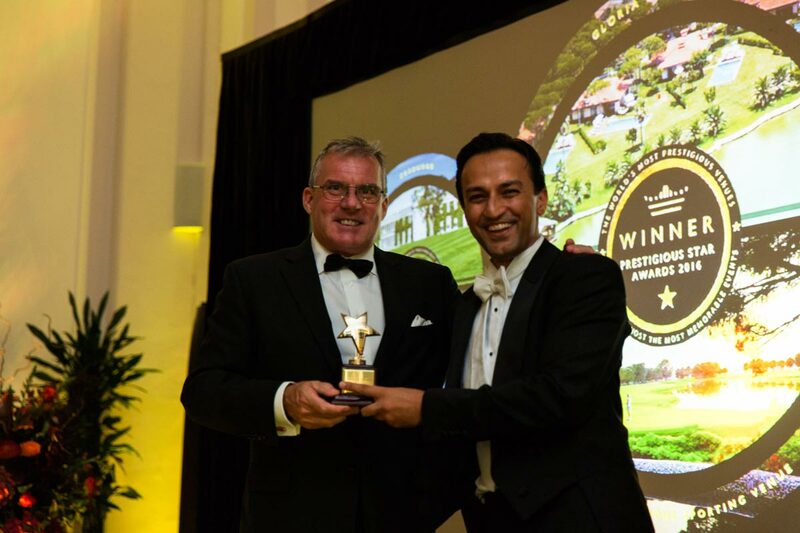 And there was further recognition for Gloria Golf Resort, which was also voted as Most Prestigious Sporting Venue at the 2016 Prestigious Star Awards at a ceremony in London, taking one of the top honours from a shortlist of 2,000 worldwide venues. Reacting to the news, Gloria Hotels & Resorts’ director of golf David Clare said: “We’re thrilled to have achieved a top-five ranking in continental Europe. It’s a genuine honour to be rated so highly by such a respected magazine as Golf World, especially as we were up against some fabulous golf resorts throughout Europe. Situated 40 minutes from Antalya International Airport, Gloria Hotels & Resorts offers a wide range of accommodation with three luxurious and stylish five-star resorts on the beach: Gloria Golf Resort, Gloria Verde Resort and Gloria Serenity Resort. Featuring 45 holes, the luxury hotel group is the biggest golf complex in Turkey with its comprehensive golf facilities including two 18-hole championship layouts, a nine-hole course and outstanding academy and driving range. In addition, the Gloria Sports Arena – built over an area of 105,000m2 – offers state-of-the-art facilities for more than 50 indoor, outdoor and aquatic sports, including football, athletics, tennis, rugby, hockey, swimming, diving and triathlon, while an on-site hotel offers 100 modern-designed rooms suitable for all athletes and their needs. Next month (October 11-16) sees the Beko Classic Pro-Am take place on the Gloria New Course, with many of Europe’s leading tournament professionals – and two-time Major winner John Daly – scheduled to take part. The resort will also stage the Turkish Airlines European Challenge Tour event from April 24-30, 2017 – the third year in a row the up-and-coming golfers on the second tier of European golf will get their opportunity to shine on Gloria’s fairways. And from May 13-20, 2017, the PGAs of Europe 20 Year Celebration Pro-Am takes place, with 50 teams from all over Europe, including many of the continent’s leading professionals. Away from the golf courses, the famous Gloria hospitality will be a big attraction with 23 sumptuous á la carte and main restaurants across the three hotels to enjoy and an opportunity to sample some of the best cuisine from around the world all at the same location. Gloria Verde Resort was opened in 2001, the second championship course – the Gloria New Course – was added in 2005, while Gloria Serenity Resort was introduced in 2007.